We'll help you save on the best coverage! To get the best insurance rates and coverage, it’s important to compare insurance quotes, regardless of the type of insurance you need. Our brokers can simplify the process by helping you get insurance quotes for any of the insurance lines offered by Berkley Canada. Do you need business insurance to protect your company or require travel insurance for your next adventure, or have a more specialized insurance need? We can help you explore your options, save money, and get the best insurance rates. Founded in 1967, Berkley is one of the top commercial lines property and casualty insurance providers in North America. 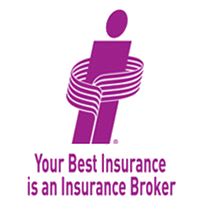 They are a local commercial insurance company that uses local underwriters. The company is committed to making a difference to their brokers and you, the customer. The company operates based on three key principles – being responsive, creative, and secure. It offers three main lines of insurance products – commercial insurance, speciality insurance, and travel insurance for residents in Canada. Why Get Berkley Canada Insurance Quotes? A Local Company : With three branches across Canada to serve the unique needs of these regions, Berkley takes pride in being a local, Canadian commercial insurance company that is supported by local insurance professionals and underwriters. Exceptional Personalized Service : One of Berkley’s core principles is responsiveness – for claims, quotes, issuing policies, and addressing customer and broker questions, concerns and request for information. Insurance Options : Berkley offers a variety of insurance options for all types of businesses and Canadian travellers. Protect all your business needs with the BerkleyOne commercial package policy. Get flexible options to protect your business from all types of risks. Get A Berkley Canada Insurance Quote Today! ThinkInsure brokers are happy to help you with all your insurance needs. Contact us today to compare insurance quotes from Berkley Canada or any other insurance company. Call us anytime!